The future of the RDS will become clearer in the next month or two, according to Leinster Rugby chief executive Mick Dawson. The RDS are awaiting a decision on government funding to go ahead with the redevelopment which will initially begin with the Anglesea Stand but is part of a wider project that will increase the capacity at the venue to 21,000. The venue has a naming partner, widely believed to be Laya Healthcare, in place and Dawson said the process is ready to begin once funding is secured for the €26m project. Despite some local objection from residents, planning permission for the new stand was approved almost a year ago and Dawson said the plan is ready to go once funding is in place. "The RDS have made an application to the government for part funding of the stadium and I think that decision will happen in October or November," he told the Irish Independent in Cape Town. "We'd be hopeful of something positive coming out of that. "The RDS are putting their own money into it, there is a naming-rights partner - we have planning permission, we have architects and we are ready to go to tender so if we get the money, we go ahead with it. "Initially it will be redeveloping the Anglesea Stand, but the RDS's plan in the bigger picture is to grow the whole thing. 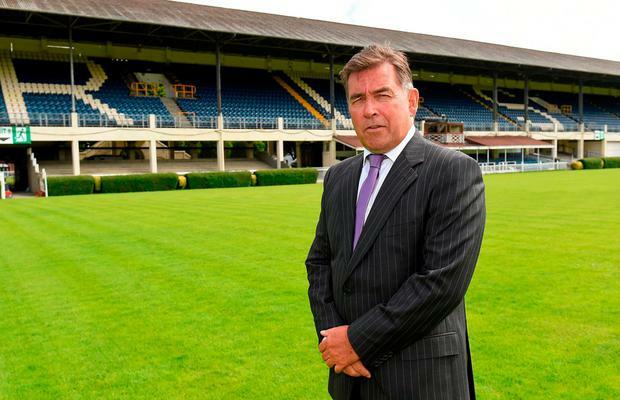 "We must remember that the RDS run the Horse Show and remove the seats at either end for that, but the Anglesea Stand would add about an extra 2-3,000 but rather than the extra people, it would just modernise the facility. "Because we all realise that the RDS is fantastic, but it just needs a bit of upgrading and we're all committed to that - the RDS, ourselves and from the government people we've spoken to we understand there's a level of support as well." Dawson is in South Africa with the Leinster senior team who are in the midst of a two-game mini-tour to fulfil their Guinness PRO14 fixtures against the Southern Kings and the Cheetahs. Despite making the trip without a who's who of seasoned internationals and a couple of self-inflicted off-field incidents, the Irish province secured a comfortable win in Port Elizabeth on Saturday in a game that was most notable for the sparse attendance at the Nelson Mandela Bay Stadium. But the long-serving head of Leinster believes that the South African expansion is worth persevering with, despite early teething problems. "Saturday was very disappointing, I think they (the Kings) were very disappointed and I would say that people genuinely don't understand what the PRO14 is about," he said. "I would say some of the locals probably underestimate what we're about in the northern hemisphere, because the Cheetahs and the Kings have been doing reasonably well in Super Rugby and they're struggling in the PRO14 this season. "It's exciting, everyone deserves huge credit for putting it together. "Mistakes that will be made, you have to make sure you don't make them again. "It takes time, they're not sure about their own team and they don't know a lot about us. "Port Elizabeth is a very strong rugby town, they play internationals there and in time and with a bit of promotion - their back-up staff is very limited... they have worked very hard to get the team right, but now they need to get the off-field stuff right. "Martin Anayi in the PRO14 and the South African Rugby Union have, in a very short space of time, put an awful lot together. "I think everybody is genuinely excited about it, I think the competition needed it and I think the Southern Kings and the Cheetahs had a tough time over the summer because for the players there was uncertainty over what was going to happen. "But they'll only get better and better. It's been a great experience for us." The growth of the league has brought an additional €550,000 per season in revenue for the Irish provinces, which Dawson believes will go into the mission of keeping Leinster's Ireland stars at home. "Ourselves and the union work hard to keep the Irish players at home, to make sure they're well remunerated and by and large they want to stay put," he said. "But if you're going to double your salary, it can be very tempting to move and we have got to produce teams that are competitive because people want to win things and we're doing that, so if we can stay competitive and the money is up there then I think there's a good chance we can hold on to the players." The relationship between the province and the IRFU has sometimes been strained in recent seasons, never more so than when Matt O'Connor was issued with a stinging public rebuke from Joe Schmidt and David Nucifora in 2015. While he accepts there can be "tensions", Dawson insists that the relationship between the two entities remains in good working order. "We work closely with the IRFU, the national team is their concern and the provincial team is my concern," he said. "We don't win all of the battles, but we've a good working relationship and understand the ups and downs of it. "There's always going to be tension there, but we've a good working relationship - Leo gets on very well with Joe Schmidt, that's where the relationship is." Having won seven major trophies between 2008 and 2014, Leinster are enduring what by their own recent standards is something of a title drought. They have reached two European semi-finals and a PRO12 final since O'Connor last led them to the league in 2014, but showed signs of progress under the stewardship of Leo Cullen and Stuart Lancaster last season. "You set out at the beginning of every year, we play in three competitive competitions - the Champions Cup, the PRO14 and the British and & Irish Cup and in an ideal world you want to be at the competitive end and winning the competition," Dawson said. "We had a great run from 2009 to 2014 and that created a huge expectation level among supporters and sponsors. "You have to live up to that expectation level, but the coaching staff had to manage a lot of change. "Replacing the likes of Leo Cullen, Brian O'Driscoll, Gordon D'Arcy, Girvan Dempsey... they move on and new leaders have to emerge."